"Well, just have a go at it." 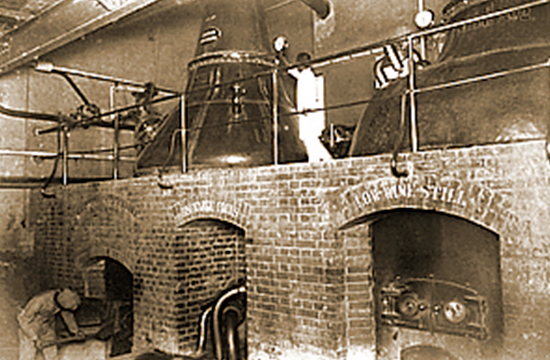 The history of Western alcohol brewing in our country is only 150 years, dating back to after Meiji. However, beer, whiskey, and wine produced in Japan have the quality in no way inferior to that of Western products which have thousands of years of tradition. 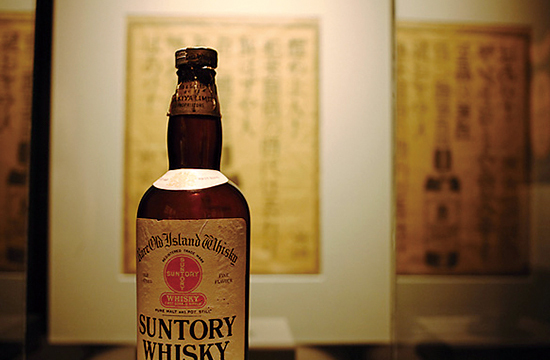 The fact that Japanese-produced Western alcohol is currently beloved around the world is the evidence of that. Shinjiro Torii, known as the founder of Suntory, is a vital figure who brought revolutionary innovation to such Japan's Western alcohol industry. Shinjiro Torii was born in 1879 as the second male child of a money-exchanger in Osaka. Although his family was affluent, at age 13 Shinjiro was sent to a certain mercantile house for apprenticeship. This was because of his parents' belief that "a shopkeeper needs no schooling", deciding that the child should be taught the business from a young age. At his apprenticeship, he handled mostly pharmaceuticals but also imported Western alcohol. And while working very hard Shinjiro learned the tricks of business and knowledge about Western alcohol, before opening "Torii Shoten" at the age of 20 in 1899. Shinjiro had stylish tastes and an inquiring mind. For example, when he had the opportunity to go to Tokyo, he bought many imported perfumes from high class department stores and created liqueur bottles based on their shapes. Or he would ask people who were travelling to the West to bring back simply cigarette boxes as souvenirs. Of course this was in order to use the product packaging as a reference for ideas. By these efforts his store grew larger, this also led him to have his own factory and increase the number of employees. Shinjiro was short-tempered and quick to anger, causing him to be feared by his subordinates, but he was also said to have a warm humanity. His management principles were family-based, and he was widely adored by his employees. For example he paid his employees a family allowance in addition to their basic wage. Furthermore, at his factories he provided meals to the workers which were considered luxurious for the time. He would also give his subordinates instructions which seemed at first impossible, and if they hesitated he had a habit of saying, "Well, just have a go at it." When his employees who feared his anger worked earnestly and achieved the results, he would smile and say, "See, it's just like I said". Although he was feared as an absolute monarch in the company, he was also beloved by his employees due to his warm personality. In this way he could be called the preeminent businessman that appeared in the post-war era of our country. Now anyone could drink the high-class Western alcohol made in Japan which previously only the rich could drink. We can say that this fact is truly the realization of the path of an Osaka businessman, namely rationality, perseverance, a spirit of hospitality, and a spirit of public duty. When we drink Western alcohol made in our country, we can see the spirit of Shinjiro Torii melts into the bottle.